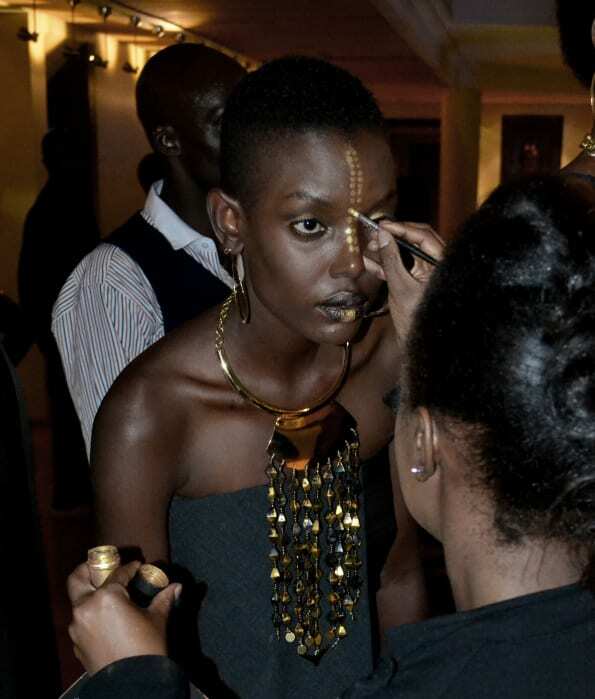 Team Adele is always so thrilled to be a part of Nairobi’s hip Tribe Hotel’s annual fashion show: Tribal Chic. The event certainly did not disappoint this year. 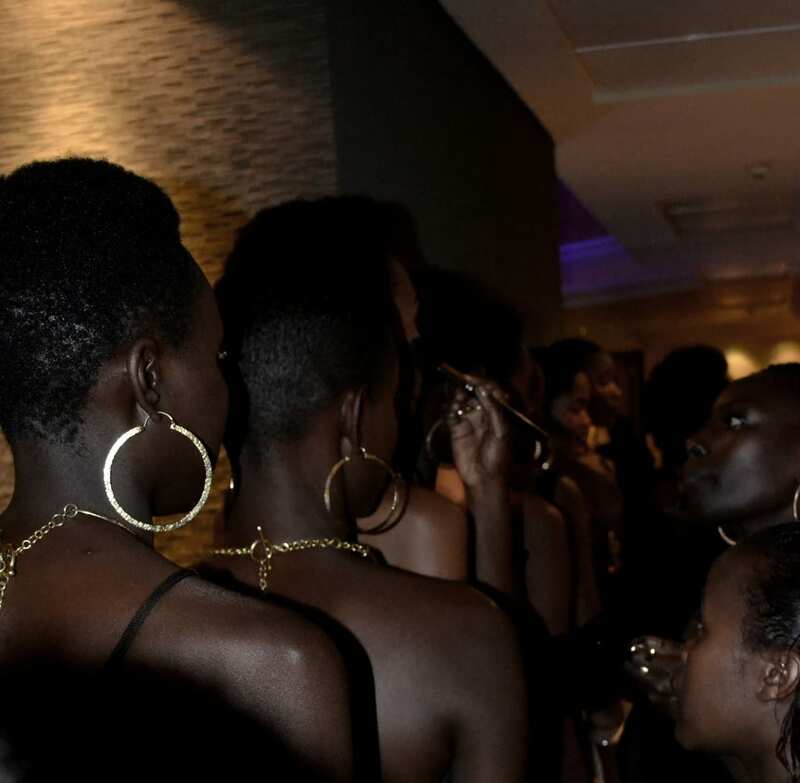 All of Nairobi’s hard-core fashionistas & East African bloggers, designers, photographers and top press attended, all decked out in their best gear. 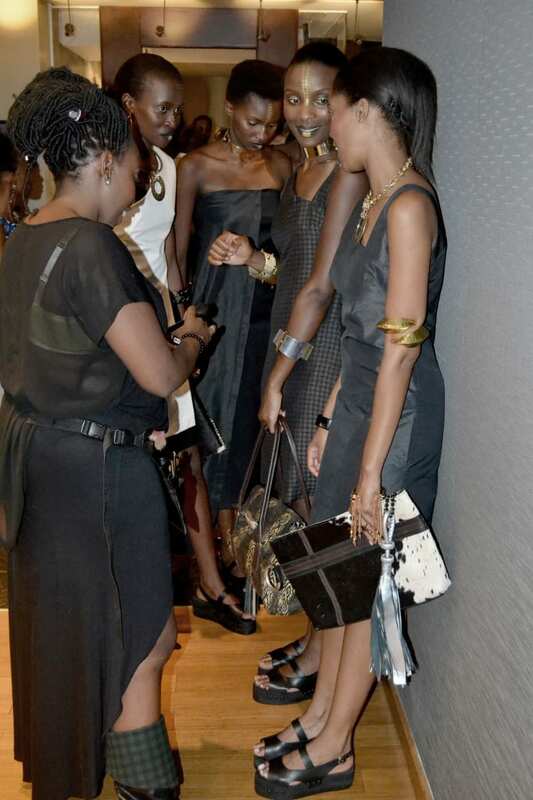 Many wore pieces from our collections. 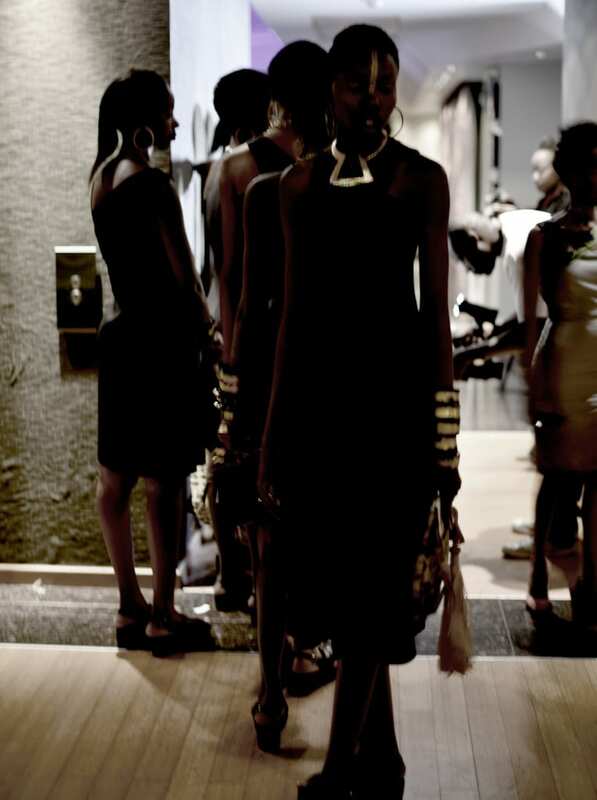 Tribal Chic fashion show 2015 saw us preview our long anticipated LBD collection, inspired by Maasai women and the manner in which they drape their beautiful fabrics in a most graceful and simple manner: their own. The is always such an amazing vibe before a fashion show. 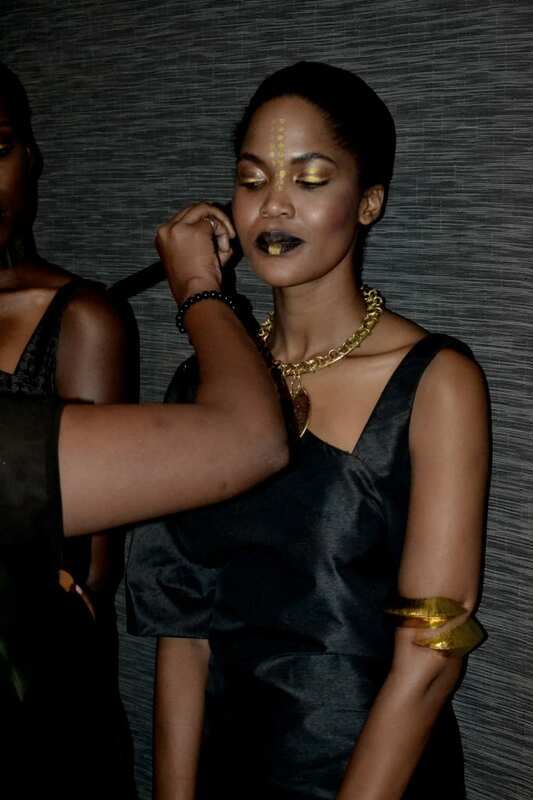 Stunning models line up and have final makeup adjustments just before walking the walk. 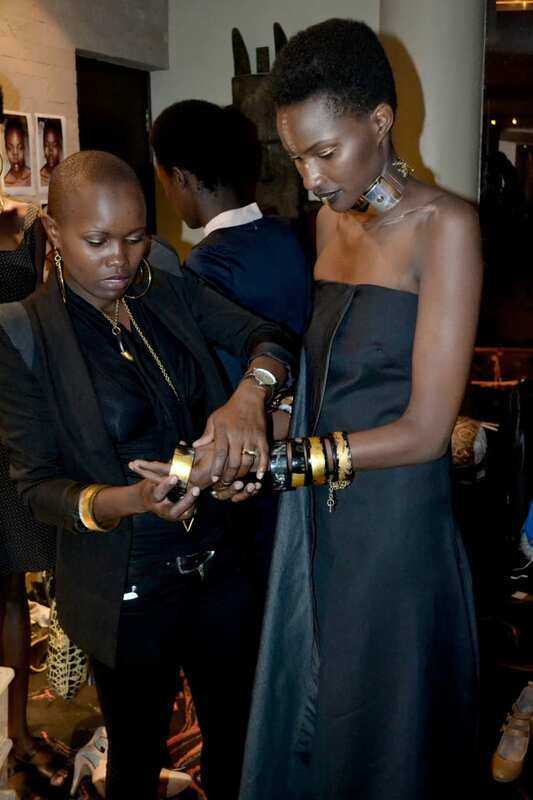 The LBD was accessorized with the brand new jewellery collection 99.9%: inspired once again by the amazing Maasai and Karamojong culture. 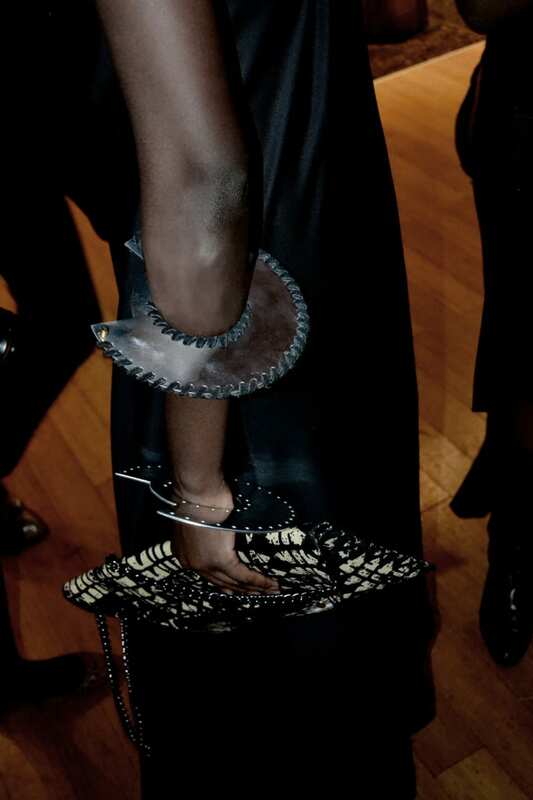 The pieces in the collection were made using Adele’s signature materials, Ankole reclaimed cow horn juxtaposed with recycled metals. 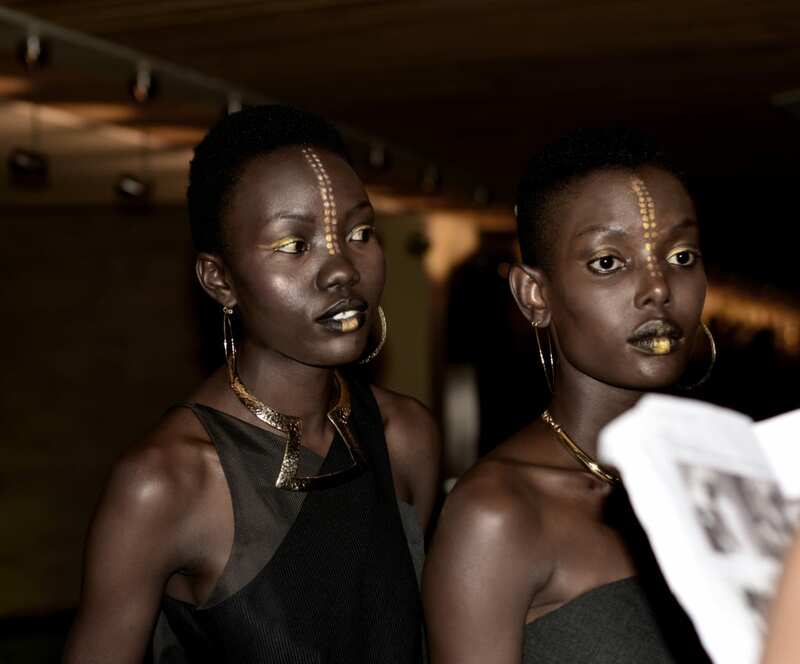 The shoes worn by Kenya’s top models for the event were custom made by Team Adele for the show and were widely acclaimed. Above, Brand Ambassador Nancie Mwai and Adele Dejak, Business Development Manager, Esther Ndeti. 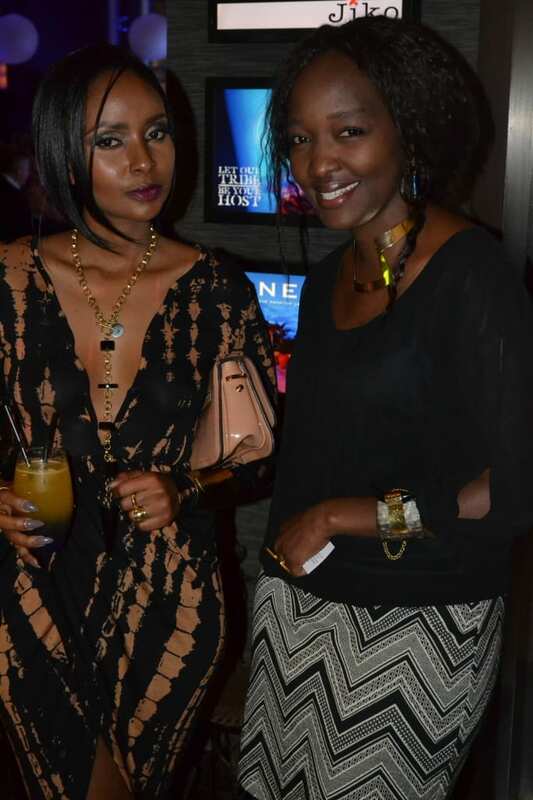 The highlight of the evening for Adele was Nancie Mwai’s stunning appearance as Adele Dejak Kenyan Brand Ambassador. Sophisticated, elegant, chic and just dam beautiful, Nancie stole the show. Watch this space for more features on stunning Nancie and her beautiful stylish world. Love the concept. Gorgeous photos. Thanks for Sharing. Beautiful! Polished with class. Awakens the heart. Thank you for being you!